One of the allures of travel is experiencing new vistas and new activities. But those discoveries can also come with cramped airplane seats, long car rides and unfamiliar weather patterns. 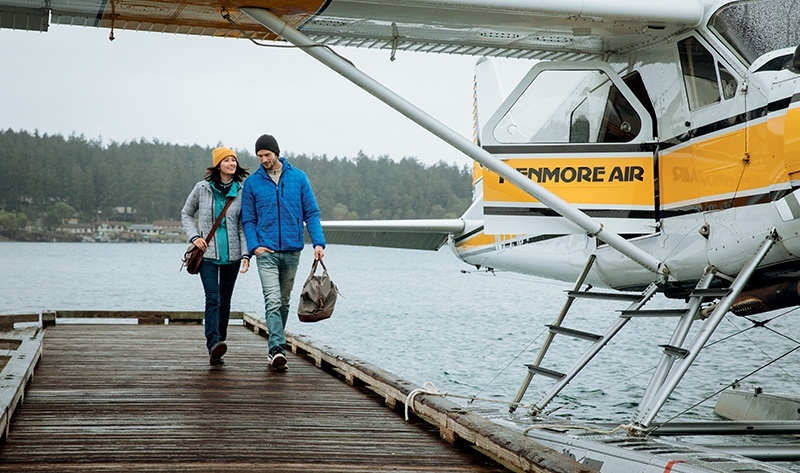 Comfort begins by making sure you have what you need for the entire journey. Start by choosing clothing that fits well, moves with you and layers easily. Make sure every piece can do double duty with other items you’re packing, and choose mostly wrinkle-resistant fabrics. Travel light around town or on the trail, while stashing your key card, credit card and cash in the zippered arm pocket. 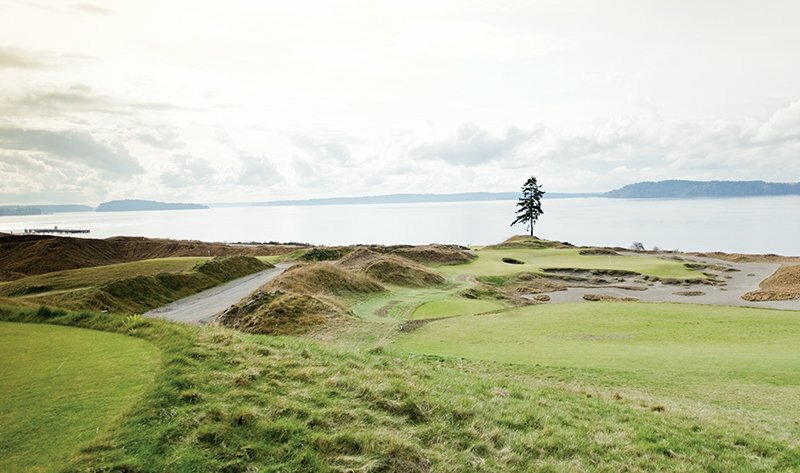 The mock neck provides a bit of extra protection from the elements, while moisture-wicking fabric adds comfort to vacation recreation. 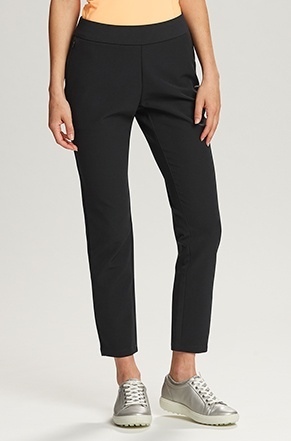 A bit of spandex creates a moves-with-you fabric, while a pull-on waistband adds to the ultimate comfort of these versatile pants. They come in black to match all your tops. 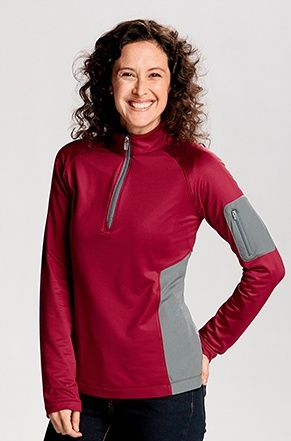 The invisible zip pockets maintains flattering lines, while UPF 50+ fabric provides excellent UV protection. A must-have for the well-organized traveler, this quilted jacket zips into its own pocket, keeping your carry-on or daypack easy to navigate. 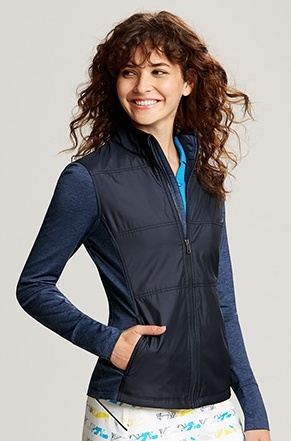 This wind- and water-resistant layer has knit accent pieces for additional comfort. Check out the Sandpoint Vest too. Perfect for alfresco or beachfront dinners, this chic and classic cardigan fits the bill when evening temperatures call for a cover-up to your sleeveless dress or top. Also available in a V-neck sweater. 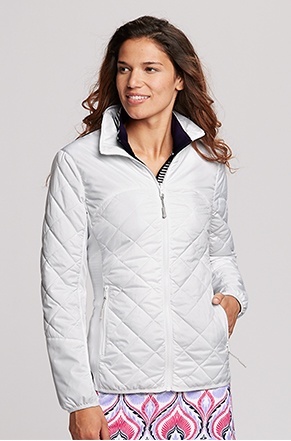 Ultra-flattering colorblock detailing will soon make this your favorite mid-weight jacket. 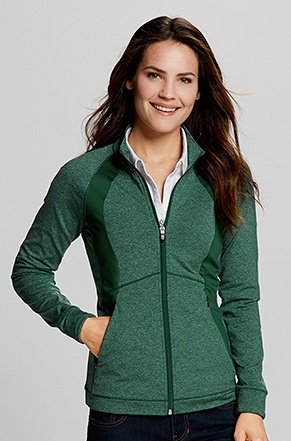 This jacket has cozy fleece lining and a zipper for easy layering. This is not your basic tee. 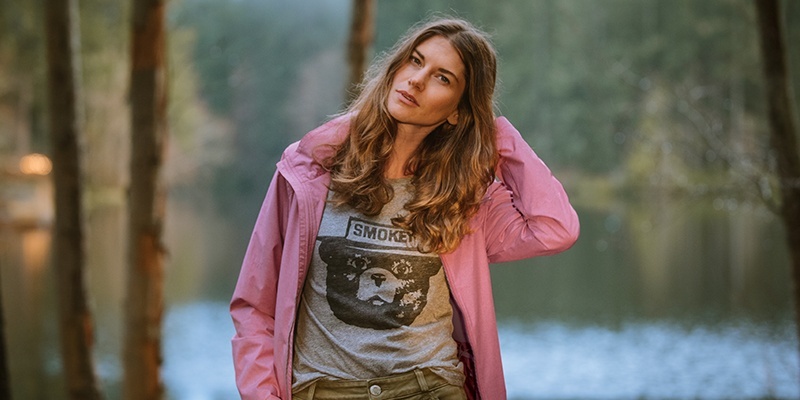 Modern details include split-neck design, center seam, and unfinished cuffs and hem, while 100% cotton recalls our favorite traditional t-shirts. Take advantage of fine weather by baring your arms. 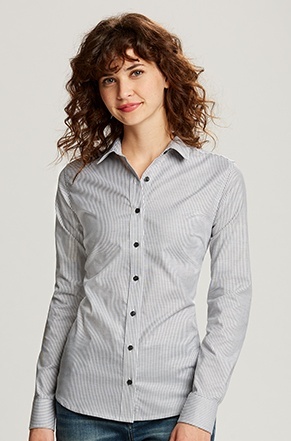 Tonal microstripes add a nice touch to wrinkle-resistant, high-UPF fabric. Hiking near waterfalls or heading out on the boat? 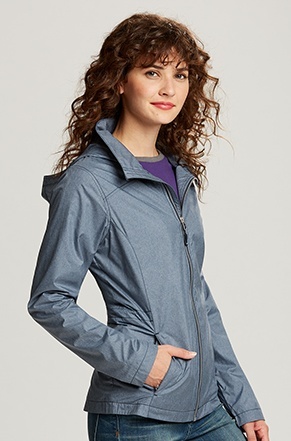 This packable jacket will keep you comfortable with its wind- and wind-resistant fabric and classic styling. The mock neck conceals a hood in case of sudden showers. 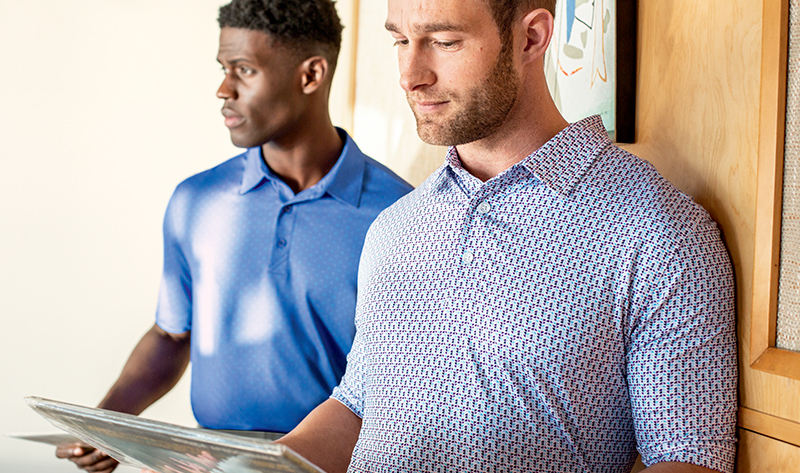 A classic button-down shirt is an essential wardrobe piece, even when traveling. 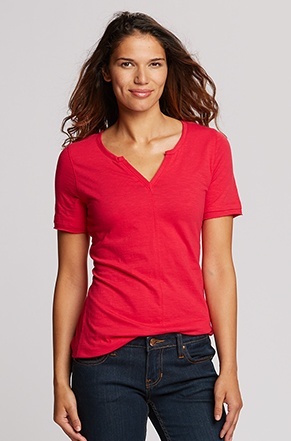 This versatile shirt can be dressed up with slacks or worn casually open over a tank top.